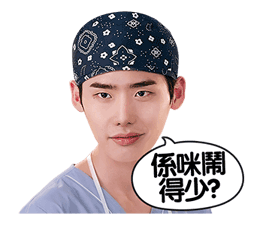 http://www.line-stickers.com/ – Dr. Stranger Line Sticker | Dr. Stranger stickers come to LINE! Meet four fascinating doctors from “Dr. Stranger” in the LINE Sticker Shop! The 4 fascinating doctors at LINE Sticker Shop! Available till July 15, 2014.